Over 20 years coaching Law Firms toward solutions that suit your practice management needs. We analyze all solutions for you. We believe that we can advise you to choose the best in today's technology and remain in compliance with your Law Society's recommendations. CosmoLex is built for one purpose only – to simplify legal practice management. Timekeeping, Billing, e-billing, Accounting, Trust Accounting, Email, Calendar & Task tracking, Document Management, and a Secure Client Portal – all in one web-based system that is PC, Mac, tablet, and mobile phone compatible. We take care of the IS and IT, so you don’t have to. Call Elizabeth Certified Accounting Partner/Consultant. LexisNexis PCLaw® – Practice Management Software – Contact us today for a demo or to ask questions. #866-747-2529 Elizabeth is PCLaw Advanced Certified. PCLaw integrates with LawyerDoneDeal® and DoProcess® software. Practice Management solution a fresh look for Today’s Law Office providing both internal or external cloud based SaaS. The legacy of this new offering comes from development and design from years of experience providing you with the tools to manage daily, monthly, quarterly and annual tasks and compliance reporting. With over 20 years in serving the Canadian and US Law Office, from a solo practitioner to a multi-national practice, we have lived through many versions and iterations of Law office technology. Some have been very good, were user friendly and well regarded and accepted. Some programs have out lived their quality of support. As new solutions come on the market we obtain trials and work with developers to help them to help you. We offer the first 1/2 hour to answer your questions. Call Today for a free consultation NorthAmerica_1.866747.2529. Our Team of Professionals will provide facilitation for your project management to migrate to new software, facilitate custom training that enforces your firm policies and direction. We have several associate Bookkeepers, IT Specialists and Accountants and Consultants to help you make the right decisions for your firm. Need someone to fill in for a week or two? Call us for rates. Also we specialize in Fraud investigations and assist with a Risk Management Strategy. Full project facilitaiton with set up and training. We also supply shopping suggestions for hardware and software to manage your project. We collaborate with trusted associates as well. We facilitate complete training scheduling and curriculum for staff based on duties and responsibility. With over 20 Years experience that providing a 360 degree approach to ensure your firm’s needs are satisfied. Michelle’s practices in the area of patents and trademarks in the Greater Hamilton area. I have known Elizabeth for over 15 years and she has advised me and provided services on my law office accounting PC law software as well as remote file back up. Elizabeth has also advised on law office accounting management, and has an excellent knowledge of reporting and compliance requirements. I value her professionalism and expertise in the services that she provides and she has been very accommodating in providing telephone or remote access assistance to me to address any issues or matters that require attention. 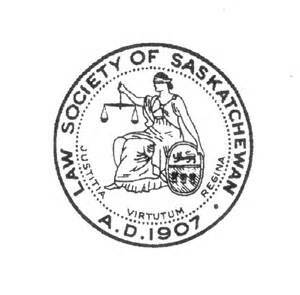 In my view Elizabeth is an invaluable resource that I rely on to assist me in effective management of my law practice. 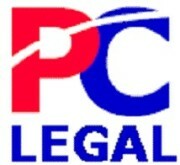 I am a criminal defence lawyer in downtown Calgary. I love the law but hate doing my accounts. Elizabeth rescues me regularly with efficiency, accuracy and an unfailingly friendly manner. She is vital to my operation. I have absolutely no hesitation in recommending Elizabeth to all lawyers big or small. Elizabeth’s work is very thorough and methodical. I could always count on Elizabeth to do the right thing for the customer. We enlisted her expertise for an existing customer. November 15, 2013, Roger was with another company when working with Elizabeth at PCLegal. Elizabeth has been training and rescuing me for some 8 years now in PCLaw usually from when I’ve gnarled-up some reconciliations. Quick, efficient, knowledgeable, friendly and reliable. I like that I can get help by phone, email and remotes in to access my books. Don’t retire any time soon, please. Stop by frequently for updates.